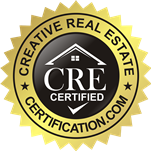 If you need to sell your house fast in the surrounding areas of Spokane, Washington, we can help. We, are here to help. We’ll make you a fair all-cash offer deal right away. We close faster than anyone else, and get the most value for homes as possible, which is why we are the #1 house buyer in the area. We aren’t realtors, so we will not charge you the hefty fees that come along with using a real estate agent. You pay nothing, so you have nothing to lose! All you need to do is submit a fast cash offer form to get an offer on your home today! North Side: Balboa/South Indian Trail, Emerson Garfield, Five Mile Prairie, Hillyard, Logan, Minnehaha, Nevada/Lidgerwood, North Hill, North Indian Trail, Northwest, West Central. South Side: Browne’s Addition, Cliff/Cannon, East Central, Grandview/Thorpe, Latah Valley, Lincoln Heights, Manito/Cannon Hill, Peaceful Valley, Riverside, Rockwood, Southgate, South Perry, West Hills. There are lots of situations where we can help, including avoiding foreclosure, divorce, relocating, inherited or properties in probate, or a vacant house. Maybe you can’t afford your mortgage, are painfully behind on payments, owe judgment liens, or it needs repairs you can’t afford. The why’s and how’s don’t matter. If you have a property and need to sell it… we’d like to make you a fair cash offer today, and close whenever you are ready.